Hope for an AIDS Cure. How to Beat the Doctor Shortage. Over the past decade or so, the market for generic drugs has become, as research chemist Derek Lowe puts it, “more and more deranged.” Prices of boring old drugs, off patent for decades, have experienced the kind of breathtaking spikes and dizzying crashes that are usually reserved for exotic financial instruments. Over the past decade or so, the market for generic drugs has become, as research chemist Derek Lowe puts it, “more and more deranged.” Prices of boring old drugs, off patent for decades, have experienced the kind of breathtaking spikes and dizzying crashes that are usually reserved for exotic financial instruments. Only instead of some larval billionaire losing the keys to his Lamborghini, desperate patients are losing access to drugs they depend on. In theory, generic markets should be the Walmart of the health-care world, where everything is dirt cheap and readily available. In practice, the makers of branded drugs often display a malevolent ingenuity at keeping generic competition at bay. a number of factors, including tighter safety regulation and more complex formulas, often means that too few firms enter the market. Lots of drugs, especially those used by only a smaller number of patients, have at best a handful of firms producing them. So if one company has production problems — or decides to withdraw from the market entirely — supply contracts dangerously, as prices shoot skyward. Scott Gottlieb, the Food and Drug Administration commissioner, has been pushing the agency to relieve the regulatory bottlenecks that exacerbate these price swings. But that’s not enough for Sen. Elizabeth Warren (D-Mass.). Warren is preparing for a presidential run, and you don’t get to be president by saying “The FDA is working on it.” No, you call for action! Specifically, Warren wants the federal government to get into the business of manufacturing drugs or contracting with third parties to do the production. 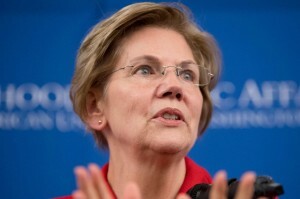 n Warren’s defense, when the supply of a vital good is interrupted, the public wants the government to do something. However, the public would also prefer that the government do something that actually works. And there we run into trouble with Warren’s scheme. This idea is particularly silly given that so many of the problems that make it harder for generic drug-makers to enter the market are created by government regulations in the first place. Unless the government enterprise bypasses the regulatory hurdles constraining supply, it will face much the same difficulties that private firms do. And if the government is going to relax regulatory requirements, wouldn’t it make more sense to just retool the way the market works for everyone? Well, yes, it would, if what you wanted to do was actually fix the problem. But that involves a lot of fiddly, boring, regulatory tweaks and can’t possibly happen fast enough to aid Warren’s run for president. It’s unsurprising that Warren has instead hit upon what I call a “Washington issue” — a proposal with little policy merit that nonetheless retains great political charm because it can be explained to voters in under two sentences. Which may be good enough for a presidential candidate. But it’s not nearly good enough for the country. Why are U.S. Prescription Drug Prices Higher Than In Other Countries? Have Faster FDA Approvals Caused More Drug Safety Problems? No!